Worried and Anxious about your Father of the Groom Speech? 25 Time-tested, Proven, Outstanding Father of the Groom Speeches, a Step by Step Guide to help you write your own Father of the Groom Speech, Lots of Inspiring Wedding Toasts, Exclusive Quotations, Hilarious One-liners, Tips on Overcoming Public-speaking Fears, and lots more, can be on your computer screen within minutes from Right Now! Imagine adding a punch to your speech resulting in a thunderous applause! Do you want to tell your son how much he means to you? Do you want to give a warm welcome to your daughter in law? Do you really want to come up with a brilliant speech without putting too much mind into it? Do you want to eliminate all awkwardness and come across as a confident public speaker? What if I tell you with a few quick clicks you can come up with your Outstanding Father of the Groom Speech? Even if you are a complete novice to public speaking, hate the idea of giving a speech and are at a loss of what exactly to say and how to say it. Your son is getting married and you are expected to give a short yet impressive speech on the occasion. Seems like quite a job! Remember those nerve wrecking moments when you just hated the idea of writing a speech and kept delaying it, thinking you will make up something later, after all there is still time left. This matter kept holding you back from enjoying your son’s wedding planning. And now the moment has finally arrived. You have to come up with something inspiring and quickly too. Yet you owe it your son to give a memorable and heart-warming speech on the most important day of his life. There is so much you wish to share. His childhood memories, your special bond with him, how proud you are of his achievements and how happy you feel he has found his soul-mate. You certainly want to welcome your new daughter in law and make her feel special. It is difficult to put so many different emotions into the most appropriate words. Making the job of writing your Father of the Groom Speech even more difficult!!! Yet you just cannot afford to let your son down on his wedding day. How to start off my speech and how exactly can I add a punch to my speech? How long should my speech be? Who are the people I need to thank and welcome? What if I forget what I have prepared? What if my mind goes blank seeing a room full of people staring at me? What if I do not live up to the expectations of my son? What if I fail to make an impression? Or worse still, what if I end up embarrassing myself? Do some of those things sound familiar? Let me be frank with you. Even though writing an Exceptional Father of the Groom Speechisn’t anywhere as complicated as, say, organizing a space walk, it is nevertheless not a cakewalk either. It does require a considerable amount of attention and knowledge. If you face the audience with limited knowledge on what a Father of the Groom is supposed to say…chances are you will mess it up. With little guidance, you can very well deliver an Outstanding Father of the Groom Speech which will Completely Spellbind the Guests! 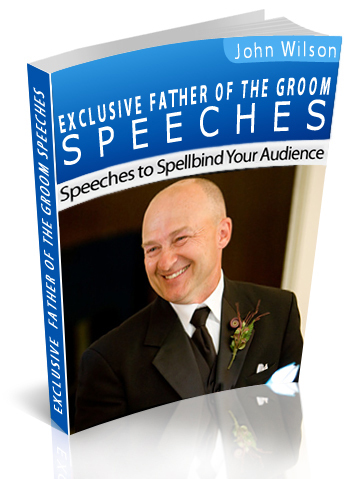 My Exclusive Father of the Groom Speech Pack will not only give you terrific speech samples (from which you can pick and choose portions to make a part of your own speech) but will also teach you step by step how to write your own speech. I spoke to dozens of wedding specialists, attended wedding seminars, interacted with well-known public speakers, read several books, researched on internet, surveyed people who have delivered wedding speeches and who are about to deliver wedding speeches (to understand their needs and expectations). Years of work has culminated into this speech package. As a result you can within minutes come up with a speech to be remembered for a long long time! No doubt the internet has information on Father of the Groom speeches and you might very well find something to help you come up with a good speech. With the Father of the Groom wedding speech samples, toasts and additional material I will share with you (which took me years to compile) you can deliver nothing but a GREAT speech. Having been involved in the wedding industry for over a decade now, let me share a little secret with you. You should come across as a loving, caring man who loves his son and his family and is happier than ever before to see his son getting married to the woman of his dreams. This should be the foundation of your speech. So if you are looking for that extra EDGE, words which will instantly strike a chord with your audience, something which will be remembered for a long-long time, you have arrived at the right place! These quality speeches will leave your audience with laughs, smiles and teary eyes. My comprehensive speech package is designed to help save you lot of valuable time and get set for the BIG DAY, easily and quickly. 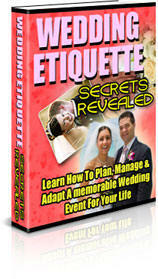 I am sure by now it is easy for you to understand, how valuable a tool my book is and how much it can help in enhancing the quality of your Father of the Groom Speech. However, you do not have to just take my word for it. See For Yourself What These Very Happy Customers Have Had To Say About My Father for the Groom Book! I really want every father of the groom to have a look at this book before doing anything about preparing his speech. 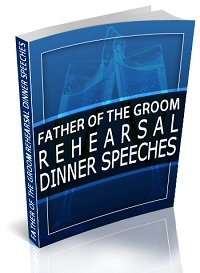 “I had to share my story with you as I really want every father of the groom to have a look at this book before doing anything about preparing his speech. I have been a bank employee all my life and can hardly remember a time when I spoke in public. May be once or twice in my school days but from the time I remember I always avoided public speaking and even if there was an opportunity I kept my distance from it. It was on my son’s wedding that I could not possibly avoid it. I had to do it. It’s not that I didn’t want to speak. I wanted to express my love for my son, tell him how much he means to me and my wife and also at the same time make the bride feel welcome and comfortable to become a part of our family. But I just didn’t have the right words for it. Nor the confidence. To be honest I still kept delaying it till the very last moment. I rather spent my time fishing and chatting with my friends than take the trouble of hammering out a speech. I still remember that it was towards the last few days left before the wedding, I was frantically looking on the internet for some help. Then I came across this book. It changed my fears into a challenge. Suddenly I started feeling excited about the idea of giving a speech. As the book helped me prepare I was gaining confidence. It was an easy and quick process contrary to what I had expected. I must say the book delivered much more than what I had expected it to. I have to admit, when I gave the speech at the wedding, I was very much surprised as to how effortlessly and naturally I was able to give the speech. It didn’t at all give the impression that I had prepared it. It flowed smoothly and natural. When people talked about it later and congratulated me I could feel they really meant what they were saying. My speech was the best speech at my son’s wedding. 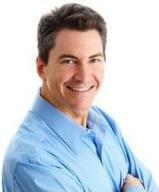 “Hi my name is Eric Pollock. I really want to thank the writer of this book as, for a person like myself who knows absolutely nothing about public speaking, it was a miracle that, without any doubt, my speech was the best speech at my son’s wedding. It instantly turned me into a hero at my son’s wedding. My son loved it and my daughter-in-law was equally impressed. They never expected someone like me to deliver such a heart-warming speech. The book was a great source of comfort to me and has definitely increased my confidence level. I strongly recommend this book to all fathers of the groom. I just picked up portions of various speech samples and made it a part of my own speech. “It was such a happy occasion when my son decided to get married and, during discussions with some close friends about the various preparations that are needed, the subject of the father of the groom speech came up.. I was not very comfortable on this front and one of my friends suggested me to Google it. Initially I was reluctant to buy this book as I didn’t know if it would really help me say what I really wanted to say. I was not at all sure it would give me a speech which best suited my situation and would be appropriate for me. I must say the book did a remarkable job and gave me something which actually made me feel it was tailor-made for me. It has lots of templates and examples that suited my particular situation. I just picked up portions of various speech samples and made it a part of my own speech. Within a couple of hours I had an entertaining speech ready. 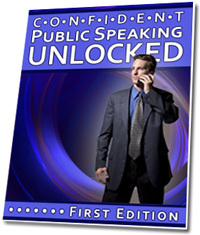 The speech pack also helped me to organize my thoughts and gave me lots of tips and tricks on public speaking which was a tremendous boost to my confidence level. It delivered much more than I initially thought it would. The applause of the audience after my speech confirmed to me that I had made the right decision by investing in this book. “Can you believe it? Someone at my son’s wedding actually thought I was a professional public speaker. WOW! The truth is, if I could do it then anyone can. The book not only gave the right material but also taught me the skills of how to deliver the speech. When it comes to public speaking it is not only what you say that matters but also how you say it. And that’s exactly what this book has to offer. The overall result has to be impressive. The bond between father and son has definitely become stronger. 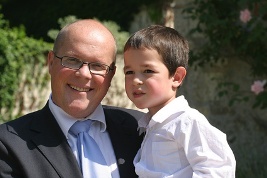 “For me, giving a father of the groom speech was a little bit tricky as my son is actually my stepson. Even though we are a close-knit family I must admit I never shared the very special bond with him which normally exists between a father and son, mostly developed during childhood. I didn’t know if I should be very emotional or should keep it simple and to the point. This book clarified all my doubts and gave me the step by step guidance of how to come up with a relevant speech. What it offered was great but also what especially impressed me about the book was how simply and easily it taught the techniques. It made the process very quick which was just as well as I was running out of time and the wedding day was getting closer. 15 Brilliant, Outstanding and most Entertaining Father of the Groom Speeches. 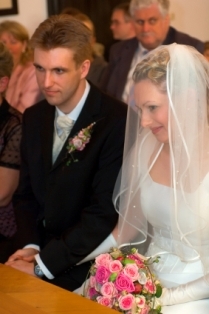 The speeches are flexible and can be easily adapted to your particular situation. They are relevant, appropriate, meaningful and impressive. They will keep your audience enthralled. Whether you need emotion, humor or substance it’s all there. Plus 10 short, sweet and simple Father of the Groom Speeches. These are more formal speeches which will convey exactly what you want to say, keeping it short and simple! Step by Step guide on Crafting your own Father of the Groom Speech. This is where all the speech writing secrets are revealed. The guide will help you write your own speech as if you were a professional speech writer. About 100 Inspiring and Rare Love and Wedding Quotations to choose from to make your speech entertaining and captivate the audience attention. YES John I really want to invest in the Exclusive Father of the Groom Speech Book and want to make the most of such an important day by creating memories which will stay with me forever. I understand by acting today I will put my hands on the most relevant matter available on Father of the Groom Speeches which will help me deliver an Outstanding and Memorable Speech sure to touch the hearts of my audience. Will it not broaden your horizon? Will it not take pressure off you? Will it not RELAX you? Will it not make you more confident? Will it not add fun and excitement to your life? Will it not help you create wonderful memories? Will it not give you the satisfaction that you made the most of this once in a lifetime moment? Will it not give you that amazing sense of achievement? P.S. One more thing – I almost forgot. I will include a 10 Ready to use professionally written Father of the Groom Rehearsal Dinner Speeches Templates along with ALL this material.. These additional speech templates require ONLY A SIMPLE NAME CHANGE and CAN BE USED EXACTLY AS THEY ARE. With these templates in your hand you really don’t have to write your speech. P.S.S.S. 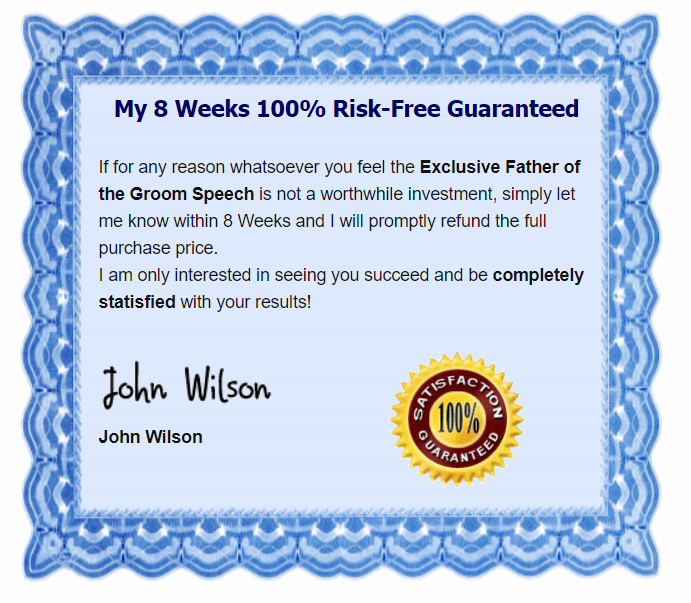 Remember you have a full 8-weeks to try the Exclusive Father of the Groom Speech Pack before you decide whether you want to love it or leave it. P.S.S.S.S. The time to ACT is NOW. If you do not then you might miss out on the reduced price offer and the golden opportunity to get your hands on so much valuable information at such a low price.